Being a parent is not an easy job, especially if your child is entering or has already entered into their teens. That’s because it is the time when they face peer pressure. If your child is depending too much on his friends for all his decisions, whether small or large, or he has suddenly started behaving differently, then it probably means that he is facing peer pressure. There is a lot of content available on teens and peer pressure on the internet mainly for the purpose of helping parents and teens. Parents must read this content in order to know more about this issue as it is the only way they can help their kids. Here are a few essential steps that can help you teach your kids how to deal with peer pressure. 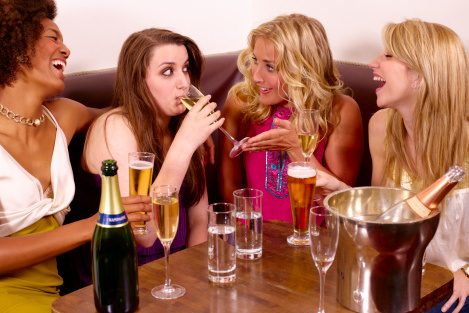 Teens and peer pressure are directly linked to each other. This is mainly because teens never say no to their friends, fearing that saying no to the friends will make them angry or affect their relationship. They are often ready to do almost anything just to save their friendship. This everything includes taking drugs, drinking alcohol, watching adult content etc. Parents must make teens understand that sometimes it is okay to say no. Parents must set limits for the teens or they should ask them to set limits for themselves and then stick to them no matter what. For instance, if they do not like partying late night or they hate taking drugs and drinking alcohol, then they should not participate in these activities just because their best friend is saying so. Teach kids how to say no to their peers politely so that the latter may not offended or turn bitter. Do you know why teens follow their peers blindly? It is because they lack confidence and self esteem. They think that they cannot take good decisions for themselves so they leave all their decisions to their peers. Quite often, they are not confident enough to tell friends what they like or what they want in life. Parents can play an important role in this regard. You must boost the self confidence of your teens by encouraging them to take decisions for themselves. Next time you go to the shop, ask your kid to select a dress or shoes for himself instead of imposing your decision. Give him confidence so that he is able to think for himself instead of behaving like a puppet in friends’ hands. Talk About Their Likings and Preferences Parents must talk about the likings and preferences of teens and should motivate them to fulfill their likings. This will make them feel confident and independent. If your kid likes to have a certain hairstyle, then let him have it. This practice will give teens the courage to do what they like instead of following the orders of others. Parents must leave day-to-day decisions to teens instead of taking every single decision themselves. Stop telling the kids things like what to do, when to do it, and how to do it. Let them learn by taking decisions themselves. Now, they are acting on your instructions and in the coming days they will start acting on their peers. If you want them to be independent and confident, then do not impose anything on them. This is a challenging time for your kid, so be there for him as this feeling of emotional security and love is enough for him to deal with peer pressure.